A slightly curved Renault Alpine, screentop suntrip visor, suitable for road or race classic Renault Alpines. 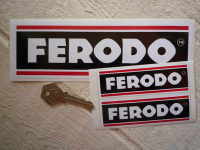 Available in Black & Gold or Black & Silver. 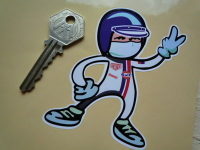 Sticker measures approximately 946mm wide by 99mm with a 10mm droop at the top and a 16mm droop at the bottom (measured in the centre of the sticker). Check that size is applicable to your vehicle before ordering. 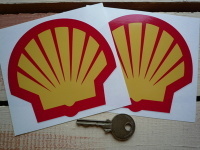 Stickers are cut to shape, the white square that you see is the backing paper. 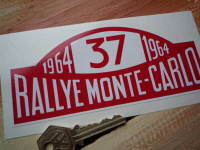 Monte-Carlo Rallye Rally Plate Stickers. 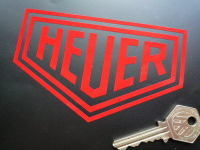 1961 - 1974. 6". 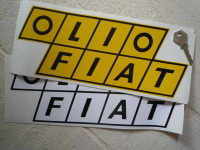 Olio Fiat Sticker. 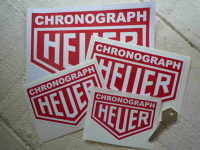 6", 7", 9", or 12". Goodyear Blue on White Diamond Stickers. 6", 7" or 9" Pair.